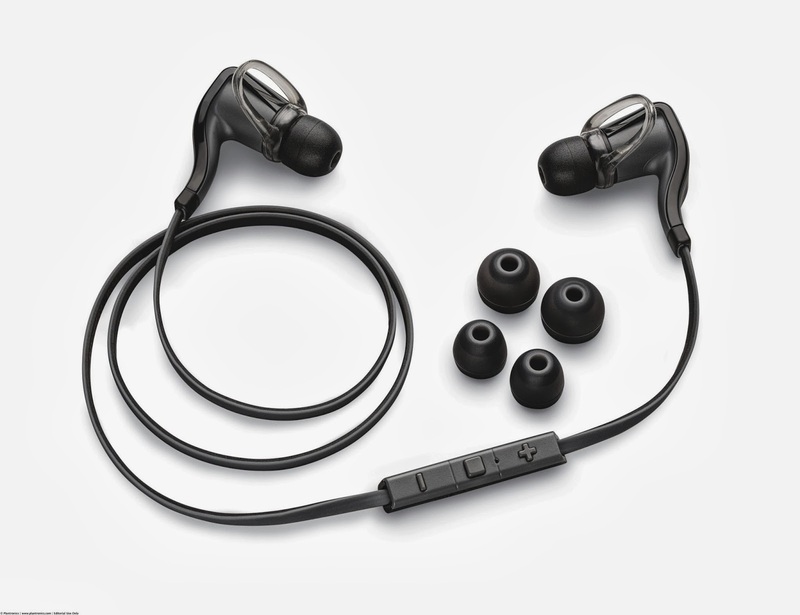 The first thing that came to mind when I received the new Plantronics Backbeat GO 2 Wireless Earbuds to review was, WHY didn't I think of it? The second was, OMG I get to keep it! I am so grateful to the kind folks from Plantronics' PR who sent this to me for review because I had never thought about the need for wireless headphones, until they sent it! Then I realized I should have, because it is brilliant. Have you ever experienced having your earphones rudely tugged out while you are enjoying some music because they got tangled among your stuff? I have, quite often actually, and really HATED it. Have you also experienced having the whole phone drop on the floor while you are at the gym on the exercise machine because the wire is slightly too short, and got tangled up? KERPLUNK! And everyone stares at you. Well, I have. This is why wireless headphones is probably mankind's better inventions of late. 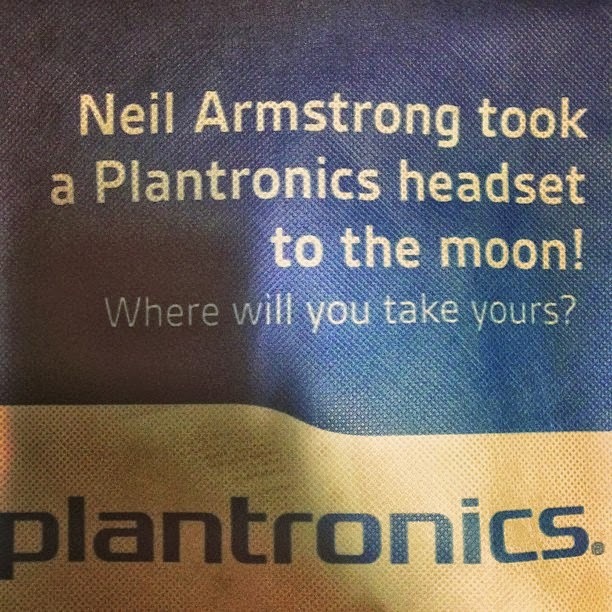 However, I have never heard of Plantronics before, in a world dominated by Bose, Sony and Seinnheisers. But when I received the headset, it was delivered in a cloth bag with this printed on it. So I googled, and turns out, Plantronics started out in a garage in California by two guys in the 60s (sounds familiar?) which eventually became an industry leader. 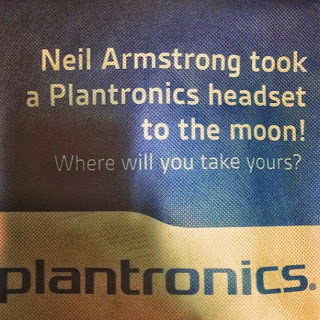 Then history was made for Plantronics, and humankind in general of course, when Neil Armstrong walked on the moon and uttered the legendary words: "That's one small step for man, one giant leap for mankind" through a Plantronics headset. I was really excited to unbox it. The Backbeat GO (version 1) won the CNET Editors Choice award, and the Backbeat GO 2 just won PCMag.com Editors Choice Award. So the quality has to be there. I did take a little while to figure out which is the best earbud (3 sizes) that will fit me though. This is actually very important because it will affect the quality of the sound if the earbuds do not "seal" properly. But once I did that, I was transported to a world of crispy, quality music. Like most reviews out there, I agree that the treble was delivered with no problem, but the bass could be stronger. However I don't think it is that bad -- easily beating iPhone's given headphones definitely! The thing to remember is you need to turn up the volume, and also make sure it is well-fitted! It also goes to full 4.5 hr listening time charge by USB-laptop in 90 minutes. I must say, for S$159, it is as all reviews say, value-for-money. I think it is the perfect GIFT for a few friends to share to get for a friend as well. Once I got all of that sorted out, I immediately brought it to the gym which I frequently weekly. 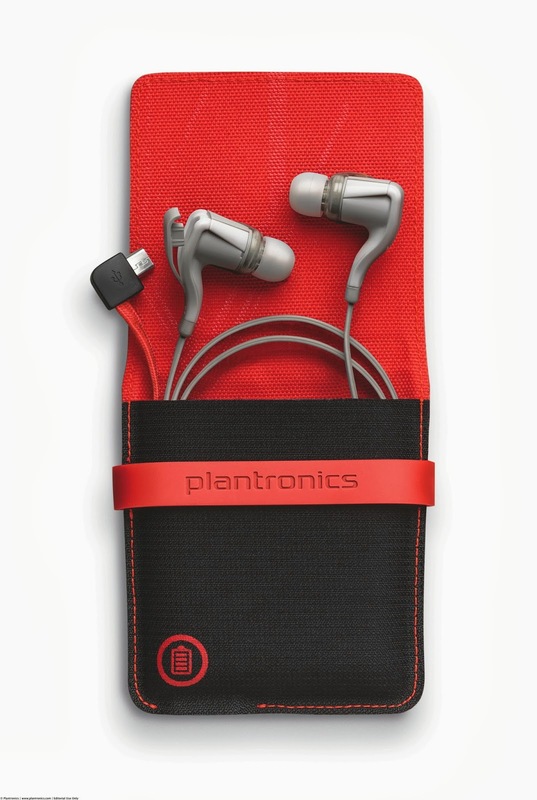 You've never exercised properly, until you've exercised with Plantronics Backbeat GO 2. The freedom was liberating! Here's my workout score on the cross-trainer, powered by Plantronics Backbeat GO 2. Here's my 8tracks.com workout mix. I love their playlist functions, and this playlist is particular good with all the remixes. Workout from alicakes on 8tracks Radio. 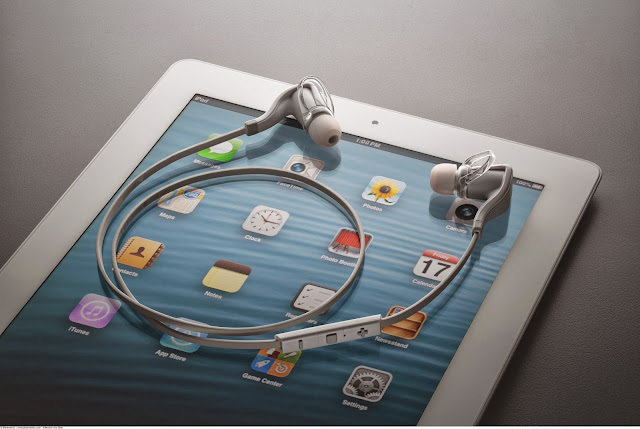 * Improved fit with small, medium, and large eartips and stabilizers for personalized comfort and optimum sound quality. Retails for $159 (inclusive of GST). * Micro USB charge cable for hassle-free and convenient charging on the go. Retails for $199 (inclusive of GST). It is available in two colours - black or white. Hau Xin Rui outlets in Singapore. 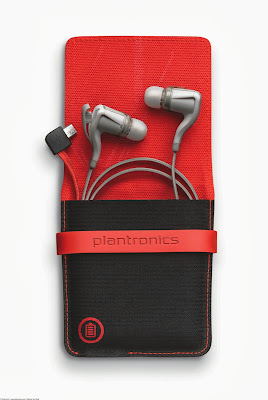 For more information, please visit www.plantronics.com.sg. Thanks to Plantronics and McGallen & Bolden for sending the unit across!